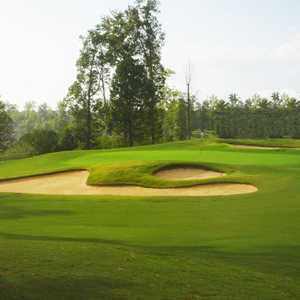 FUQUAY-VARINA, N.C. -- At Crooked Creek Golf Club, an upcoming celebration will quickly give way to an uncertain future. The 14th green at Crooked Creek Golf Club. On Dec. 10, 2014, Crooked Creek will revel in its 20th anniversary. Prices roll back to 1994 levels ($32), members play for free and everyone will enjoy food on the house. After that day passes, unprecedented change is on the horizon. 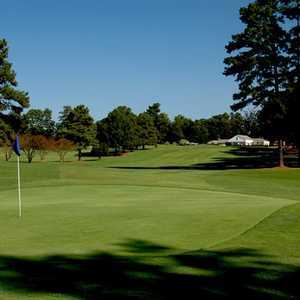 Just a few months later, Crooked Creek will convert from an 18-hole, 6,200-yard, par-71 course to one of a handful of nine-hole golf courses in the Triangle. More than 20 years ago, five friends sharing one dream merged from all walks of life. From engineers to architects, they converged to build their dream golf course over 120 acres. But as they edge closer to retirement, reality set in impacting the course's future. "They received an offer they simply could not refuse," Crooked Creek General Manager Drew Smith said. "They were approached by developers wanting to purchase the first seven holes and range. "The developers want to convert that land into single-family homes," Smith said. "With the covenants of the neighborhood, we knew this situation could eventually develop. We'll be an 18-hole course through the end of this year and into early next, the conversion could begin as early as March." "For our every-day player, if you choose the right tee box, you can play here," Smith said. "But you have to play within yourself and not get too aggressive off the tee." The course is always going to be challenging, but Crooked Creek makes it a bear whether by pin placements or double-cutting the greens. Either way, Smith added, the course sells a lot of golf balls. "The top-flight players say the course is challenging, but fair," continued Smith. "You're forced to use every club in your bag. The course looks simple on the scorecard until you play it. We've hosted Sunbelt Senior Tour events here, and had pros after three rounds tell us the golf course is beautiful, but we still haven't figured it out. That challenge is what attracts our members." It's the membership that has Smith concerned. Smith said the spring announcement was not popular, and the course lost about half of its members (from 150-75) to other clubs. While they sort out what their future looks like, it's business as usual. "We're fully funded, fully staffed, holding our tournaments and daily play," he said. Crooked Creek has seen its share of improvements over the years. Among them, all bunkers have been renovated at the cost of $30,000 within the last three years. The plans are already in place for what the new Crooked Creek will look like. "We will be reinventing ourselves," Smith said. "I can't compete with 18-hole courses across town. We'll build on the character of the back nine. We'll try to soften it up, make it play as difficult as we need to make it. We'll use alternate sets of tees for each hole, which will change the angle, the distance, the approach and the pin placement. We'll be able to make the course play like it's 18." Moreover, Crooked Creek will tap into the family market, utilizing larger cups, three pins on the green and other gimmicks to attract a different clientele. Crooked Creek's future hinges on it. "We've been told by the owners, as long as it's viable, we will continue." One of the separators is the iGrow Golf Program at Crooked Creek, one of the incubator locations for the innovative system. A locally developed program, iGrow focuses on teaching golf concurrent with life skills. It's built similar to karate classes, with advancements from level to level as certain benchmarks are reached on and off the links. "I can't emphasize how strong of a program it is," Smith said. "There is nothing out there like this. This program stresses the importance of being skilled not only as golfers but also in life and growing kids as well-rounded young adults and better students of golf. It's dynamic and impactful." There is a distinct sense of uncertainty about Crooked Creek's future. But for now, the course is bustling with leagues, tournaments and special events and in great shape. There are likely six months of 18-hole action remaining. The staff remains upbeat, but it's undeniably a difficult environment. The finishing touches are being made on the new rate structures, marketing plans and course layout. Crooked Creek is definitely winding into an uncertain direction. 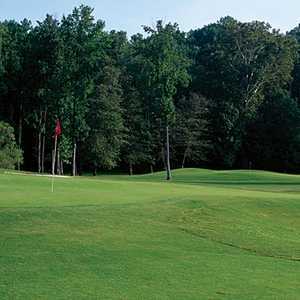 For the golfer searching the Triangle for a challenging yet playable course where you truly earn your score, or you're wanting to take that one last sentimental round, head out to Crooked Creek. For families looking for a nine-hole course that will keep everyone's attention with variety and creativity, mark it on the calendar for next spring. Patrick Kinas is a Raleigh, N.C.-based play-by-play broadcaster with 20-plus years in the TV/radio industry. Currently, Kinas is the voice of the Durham Bulls (Triple-A, Tampa Bay Rays), the national PxP broadcaster for the East West Shrine Game in St. Petersburg, Fla., women's basketball at N.C. State, along with television work with ESPN/3, Time-Warner Cable SportsChannel and other regional/national networks. He is the founder of www.DNAOfSports.com.